Home » Embedded Computing Design » Will you be safe with an always-connected Internet of Things? Rising connectivity across people, machines, and devices is highlighting the need for IT security, or security for the so-called Internet of Things (IoT) in particular. From industrial manufacturing to smart home technology and communications, decision makers are becoming aware of the IoT’s potential security risks. A successful attack, such as a widespread IoT DDoS attack that took major websites offline on October 21 last year, can group unsecured devices into botnets and flood a target website with traffic, thereby disrupting normal service to other users. Attackers can also use internet-connected devices to expose confidential information such as intellectual property, customer data, and process intelligence. In addition, it can interrupt operations, compromise business continuity, and even endanger a company’s brand reputation. For any product designed to connect to the net, high levels of protection are needed to assure data and system integrity. To achieve protection from attacks, fraud, and sabotage, integrated system solutions are required based both on secure hardware and software. Products that can be controlled remotely via mobile devices are rapidly expanding, and include applications such as controlling heating systems, monitoring CCTV systems, door locking, and the control of home lighting and appliances. These smart devices improve our quality of life and give us additional control and security in our homes, but the benefits also come with potential threats from unseen attackers on the web. Another key reason for heightened security fears is due to the number of modern vehicles becoming increasingly connected. 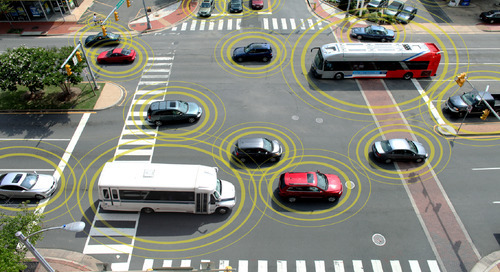 As we move towards more intelligent autonomous vehicles, cars are essentially becoming cloud-connected IoT devices with the associated risks of malicious attacks, potentially endangering the lives of drivers and passengers. In addition to consumer safety concerns, security for connected devices has become a top priority for the manufacturing sector as huge investments start to be made in the Industrial Internet of Things (IIoT), otherwise known as Industry 4.0. Automated smart factories will rely heavily on network technologies, making them vulnerable to external attacks. This poses a risk not only to production lines, but also to intellectual property, operating data, and process know-how. The answer to most of these concerns does not lie with software alone. In order for machines to be able to safely connect and communicate, they need to be able to be identified reliably. In the virtual world, machines are identified by their Secure Identities, just as ID cards or passports are used to identify people in the real world. Therefore, Secure Identities have to be protected against theft just as important documents are safeguarded. Hardware security controllers store access data and keys in much the same way as a safe might protect valuable documents from unauthorized access. Having been used in computer servers, chip-and-pin payment cards, and biometric identity documents in the past, industrial manufacturing equipment and other IoT devices are beginning to implement hardware trust anchors to protect against remote attacks as well as physical attacks such as micro-probing. Essential to the IoT of the future will be sensors, microcontrollers, security ICs, and actuators with advanced sensing capability, cross-application control, trusted security protection, and energy-efficiency. At CES this year, Infineon will be showcasing the best security technologies designed to authenticate people and machines, protect sensitive data and detect unauthorized changes to networked machines and devices. Find out more here. Michael Armentrout is the Regional Marketing and Business Development Manager for embedded security products at Infineon Technologies North America. Michael has held several roles in product management, and has led applications engineering and product marketing teams for wireless and security products serving mobile, home automation and security, and embedded security markets. He has a BS in Electrical Engineering from Virginia Tech and an MBA from Portland State University.